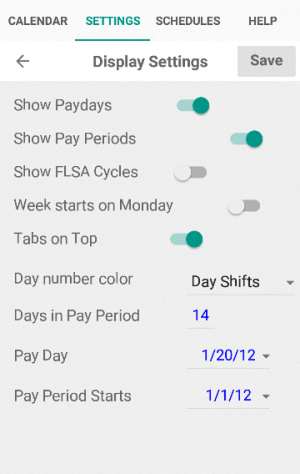 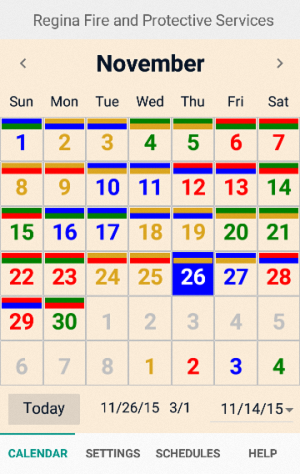 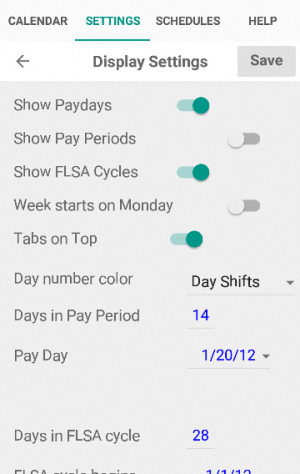 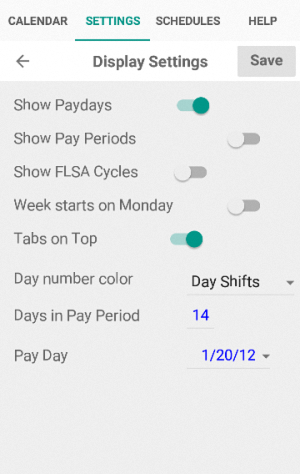 The user may elect to display the calendar day numbers in "Day" shift colors, "Night" shift colors, white, black, or a user-specified color. 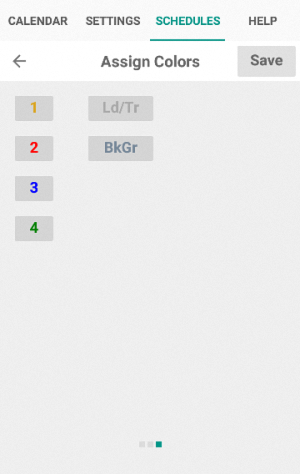 Selection of the Custom Color option will take the user to the Assign Colors tab, where the Cal Text button may be used to select a custom color. 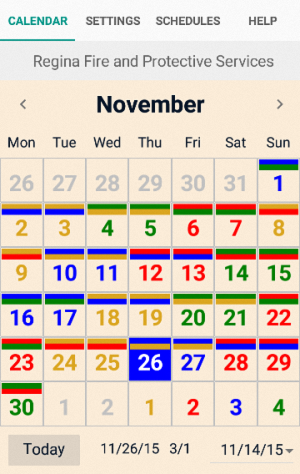 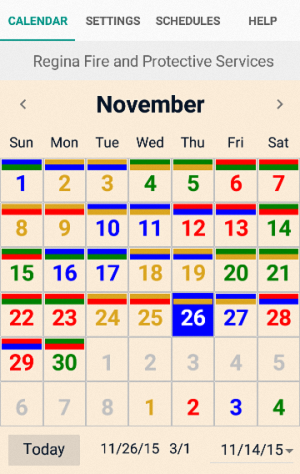 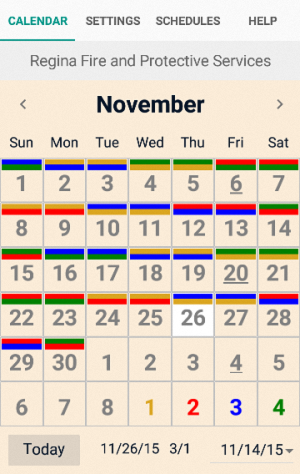 Alternate between the Calendar tab and the Schedules (Assign Colors) tab to see the results of changing the text color, then touch the Save button on the Assign Colors tab to save the selected color. 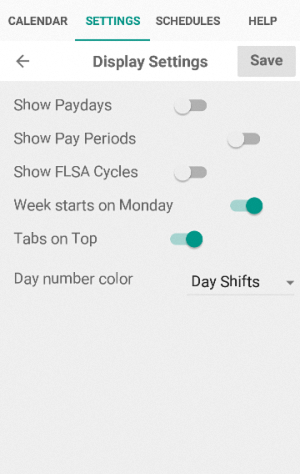 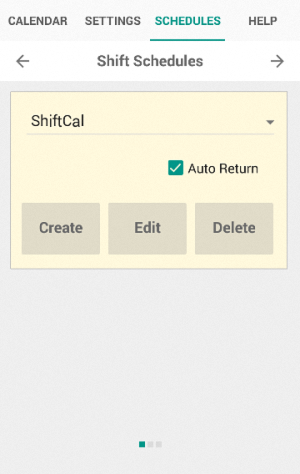 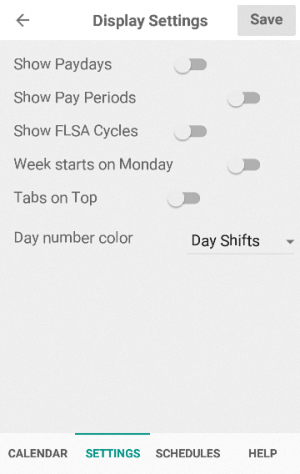 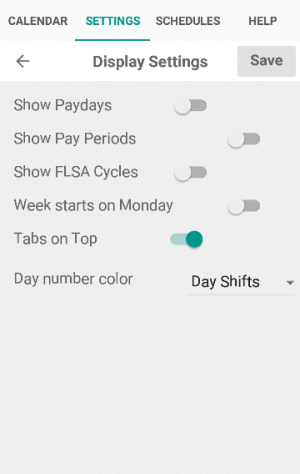 To make the custom color the default (for the current shift schedule), return to the Settings tab, confirm that Custom Color is selected and touch the Save button. 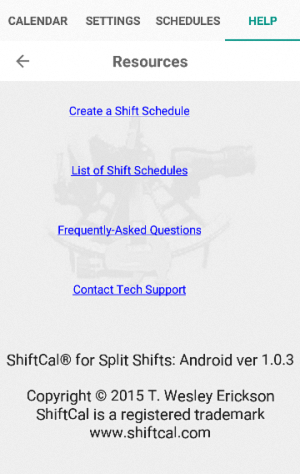 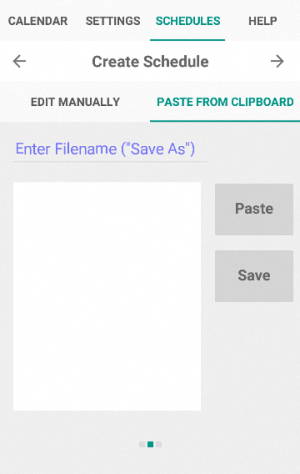 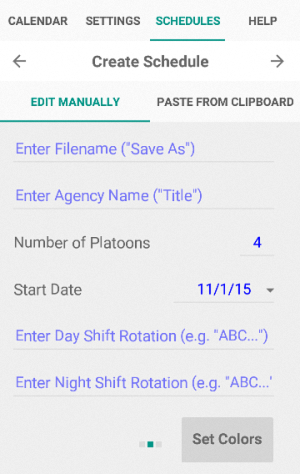 The Help tab contains links to online help and a list of shift schedules that can be copied and pasted using Paste from Clipboard option.